This is a very informative book covering the practical skills and craft of coaching. As an inexperienced coach I was impressed by the case studies and examples which made this an easy read. It not only details tools that can be implored by the coach for success but also provides traps which should be avoided for example, clean versus unclean language, advice-in-disguise questioning and leading or long questions. Rogers explored the coaching profession, the workings of the brain, the client’s perspective, the skills of the coach, the coach-client relationship and coaching practice. The book covered all aspects of coaching which provided a great overview to a non-professional. I was interested in neuroscience showing that emotions are what drive human behaviour which signifies the importance of having an emotional connection with your client. The amygdala is responsible for our inability to think rationally when under stress. As successful coaching is about change, it is important as a coach to realise that it may be easier for someone to resist change than to respond to it positively. I have learned that to engage the client you need to keep the rational part of the brain going for as long as possible while also allowing the client to express their emotion as it is the emotional brain that can create a barrier to change. I have also learned that explaining to the client the workings of the brain in terms of stimulus and response, or getting the client to name their emotion at the time, could prove useful to help them control their responses to a particular event. I was very interested in the chapter on bringing pace and interest to the session. Rogers explains that sometimes you may have a client who loses interest, is anxious about the constant eye contact or is simply tired and therefore not fully engaged. It may be prudent for the coach to change things up. She suggests going for a walk, brainstorming, drawing, or my favourite ask the client to physically ‘walk through an issue’ rather than just talk about it. Getting the client to stand up and experience the feelings at each stage of their issue can actually help the client become more motivated and provide insight into their actions. I think this approach could work well for a client who is struggling to get their words out or who seems agitated in a seating position. I have learned to watch out for a client’s behaviour and body language and if I feel they are waning in interest I need to change the pace of the process to re-engage the client. 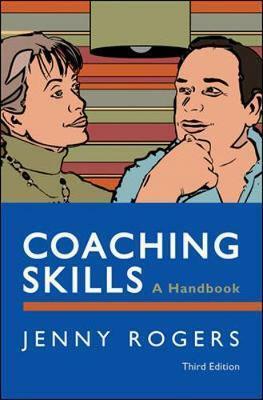 The author suggests ways in which the coach can avoid giving advice, for example, use a dilemma solving technique or ask the client to explore their ideas first. This will be very useful for me in my coaching role with employees. I will use the ‘magic’ questions and ensure they are added to my question bank. The guidelines for the magic questions are that they are content-free, short and do not include the word ‘I’. There are 17 questions framed around asking the client to state the problem, restate the problem as a goal, name options and put the first step into action. This is a very simple structure to ensure you ask the right questions. There is so much to learn about the coaching profession and as a non-practising coach keeping things simple for me is the approach I need to start with until I gain enough experience and confidence.